Bali is a world-famous tourist destination but it’s also a largely underrated diving destination, with scores of great dive sites that range from macro wonderlands to big critter encounters. Simon Pridmore explains Bali’s underwater allure. Navigating Bali to Find The Best Dive Spots. The greatest thing about Bali diving is its variety. There are numerous places to dive all over the island, all around the coast, and each of them has different attractions. Although Kuta is the most famous spot in Bali, it isn’t for diving at all. The way Bali is constructed is that the south and the west are for surfers and the north and the east are for divers. The only place where they coincide is Lembongan where there are famous surf breaks but also have great diving as well. Staring in the northwest, there is Menjangan and Pemuteran. Pemuteran is the beach resort and Menjangan is part of a country park, with the best white sand diving in Bali. The key to a beautiful dive in Bali, is knowing where to go. Bali Has Everything An Asian Tropical Destination Has to Offer. The reef walls of a tropical Asian destination, white sand, clear seas is all present in the best dives spots in Bali. Pemuteran also offers some amazing much diving too, which not many people know about. There is a jetty over on the eastern side of Pemuteran Bay, which offers a fabulous Lembeh-like, muck dive. You can do a week’s worth of diving in Pemuteran and Menjangan and not do the same dive more than once. In the Northeast there is Tulamben and Amed, which offer a couple of weeks diving for anyone living there. Again, you wouldn’t get bored and you wouldn’t feel the need to go anywhere else. A third area is Lembongan, where you’ve got hotels and home stays where the dive centers dive around Lembongan and around Nusa Penida. The Waters of Bali Tell A Story As Old As Time. The channel between Bali and Lombok to the east is very deep and in fact, in times of low seas Bali was the end of Asia, the tip of Asian continent. There were elephants and tigers in Bali but there were never any elephants and tigers in Lombok, which is just across the straights. This is mainly because they couldn’t walk there because the channel was so deep. If anything went into the water off Bali, it wouldn’t end up in Lombok. It would be swept away to the south into the Indian ocean because of the currents that pass through the straights. The underwater landscape is very rich, but the current rages through there, forcing everything to grow at a 30 degree angle, if at all. It’s very difficult for anything to grow large there because the current just blasts it all away. Mola Mola Sightings Draw in Hundreds of Divers to Crystal Bay. During mola season, the Mola mola is spotted somewhere almost every day and divers have a good chance of seeing them. The problem is that a lot of divers want to see Mola mola. A lot of divers come to Bali during the season and they all head out to the same sites. The Mola mola are relatively skittish, so they don’t have much tolerance for being surrounded by divers flashing cameras at them. They tend to move away, out to see or deeper. But despite the the vast amount of divers crowding in on the Mola Mola waters, they continue to be spotted from time to time. The best way to avoid the crowds is to stay on Lembongan itself and dive with one of the operations out there which are closer to the action than the mainland operators. Manta Point is located down in the south west of Nusa Penida. It can bode a bumpy ride getting out there. Again, the ocean is large and fast moving as you go around the corner. Once you get to Manta Point, it’s actually a small bay and the cleaning station there is quite shallow, and is common for snorkelers to see mantas there too. The mantas are there all year round and sometimes divers see the oceanic, and other times they see smaller mobula rays. The typical boat trips take divers on a round trip with a stop at Crystal Bay to see the Mola Mola, and then on to Manta Point to see the Manta Rays. Since the Mola mola take divers deeper, it is often the first stop, and then divers can swim in the shallows to observe the cleaning stations at Manta Point. The Sleepy Village of Tulamben, Now A Magical Dive Site. Tulamben was a sleepy village on the northeast coast of Bali and on the shore of the village was an old freighter. The freighter, the USS Liberty, was torpedoed in the World War II, and the crew had managed to beach her and its cargo was removed, and it was just left abandoned on the beach to crumble away with time. Then in 1963, Bali’s most significant and tallest volcano, mount Agung, erupted. The lava poured down the northern slope of the mountain, swept through the village to Tulamben, obliterating it from the map and taking away all the villagers livelihood. The lava picked up the freighter from the beach and deposited it underwater at a depth of around 10 to 20 meters and left it there. The village itself was simply a volcanic plane at that point, the lava dried, the people moved away, and then 20 years later, divers arrived. As more divers came to explore the wreck, local people from neighboring villages and former Tulamben residence came back and bit by bit, the village was rebuilt. The first hotel Paradise appeared, little restaurants were opened, and the local people started offering their services to divers. Over the last 20, 25 years, the village has developed and it’s only business is scuba diving. It is the village that was rebuilt by the scuba diver. If it wasn’t for the wreck, divers would not have come and if the divers had not come, there would be no village. The Full Experience of a Tulamben Dive. There are other attractions to diving Tulamben, including a drop off, which is an incredible wall dive. The people of Tulamben have protected Tulamben Bay allowing it to have much more fish and saline than any other bay around the coast of Bali. Fishing is not permitted there, and the local people do not fish, nor do they allow people from other villages to come and fish. The reef has been well protected and the fish life is plentiful. The diving from Tulamben and all the way east can be spectacular all the way along the Amed coast. There are several terrific drift dives and some beautiful topography, which makes for great diving. The Enormous Jetty of Padanqgbai. To the southeast of Padanqgbai there are several relatively new sites. One is called The Jetty, which is an enormous jetty that was built to take cruise ships when they arrived in Bali. It was designed to give that area of Bali a little bit more business rather than the everyday boats going into the main Bali harbor. Unfortunately they built this enormous jetty in water that wasn’t deep enough to take the cruise ships. So the jetty is used only by local fishermen and now divers and under the jetty are a host of creatures that you’d expect to find under an Indonesian jetty. It is a wonderful dive and there are more people doing it now than there were, and yet it is one most people would miss. [0:00:06.2] CM: Hello and welcome to Dive Happy, the podcast about the best places to go scuba diving in Asia. I’m your host Chris Mitchell and my guest is the author, Simon Pridmore. [0:00:17.7] SP: Hi Chris, morning. [0:00:20.5] CM: So Simon, we’re here to talk today about Bali and diving in Bali. The most famous area in Bali is Kuta but I don’t believe there’s actually any diving around the area. Can you explain to us a bit more about what is so special about diving in Bali? [0:00:38.5] SP: Yes, of course. The greatest thing about Bali diving is I suppose its variety. There are numerous places to dive all over the island, all around the coast and each of them has different attractions. Kuta, no, you’re right. Kuta isn’t for diving at all. The way Bali is constructed if you like is that the south and the west are for surfers and the north and the east are for divers. [0:01:08.2] SP: Yes, exactly, the only place where they coincide is Lembongan where you have famous surf breaks but you also have great diving as well. [0:01:19.4] CM: I see. Because most people associate Kuta with Bali and I guess in a way they think Kuta is Bali but it is actually a really big island isn’t it? I mean there is a huge amount to see and do there. You wouldn’t just go to — if you just went to Kuta and said you’d seen Bali, that wouldn’t be true at all, right? [0:01:40.3] SP: No, not at all, you’re seeing just a tiny part of it and not a part of Bali that is particularly worth visiting. Certainly if you’re a scuba diver or someone interested in nature and culture and that sort of thing. Kuta is really beach destination for the hedonists, and as such it does a really good job but most divers who come here tend to avoid Kuta and head east and north. Having said that, you can stay in Kuta and go diving from there, pretty much anywhere in Bali. It takes a long journey in a car back and forth but it can be done. [0:02:22.7] CM: Right, that’s an interesting point there, even though Bali is big, it is quite accessible, it has a very developed infrastructure there isn’t there? [0:02:31.8] SP: It’s quite well developed compared to other places in Indonesia, yes. If you’re staying in Kuta or in Sanur in the south then it will take you two to three hours to get to one of the diving destinations. You usually leave early in the morning and get back around five I suppose, having done a couple of dives during the day. The dive operators are very professional, they make it as painless as possible but you do spend half a day on the road and half a day by the beach. [0:03:06.3] CM: Right. What would you say are the key areas in the north and the east? Can you give us a bit of a flavor of how they’re different and why they’re special? [0:03:18.2] SP: Yes, if you start in the northwest, you have Menjangan and Pemuteran. Pemuteran is the beach resort and Menjangan is part of a country park and you’ve got — there you have the best white sand diving in Bali. [0:03:38.1] SP: You’ve got reef walls as you’d imagine a tropical Asian destination to offer and white sand, clear seas and it’s all pretty nice. There is some good muck diving in Pemuteran too, which not many people know. There’s a jetty over on the eastern side of Pemuteran Bay which offers a fabulous Lembeh-like, muck dive. All in all it’s not a bad destination. You can do a week’s diving in Pemuteran and Menjangan and have a ball and not do the same dive more than once. [0:04:13.0] CM: That’s right, you could be based up there for the entire duration of your holiday couldn’t you and if you were there for a week and you wouldn’t feel like a particular need to go anywhere else, there’s that much stuff there. [0:04:24.4] SP: No, that’s right. There really is. If you like, there are two or three destinations that qualify in that respect. Pemuteran, Menjangan in the northwest. In the Northeast to Tulamben and Amed, which offer a couple of weeks diving for anyone living there. Again, you wouldn’t get bored and you wouldn’t feel the need to go anywhere else and then the third area I suppose is Lembongan where you’ve got hotels and home stays and things and where the dive centers dive around Lembongan and around Nusa Penida. [0:04:59.5] CM: Right, Lembongan is the island directly off Bali, off the south east. [0:05:05.7] SP: Off the southeast. [0:05:05.7] CM: Off the south east, that’s right. That’s a very popular with surfers as you mentioned earlier, that’s where the ocean changes, isn’t it? Where all the deep currents are coming up? [0:05:17.3] SP: Oh yes, there’s a lot of water that passes through there. The channel between Bali and Lombok to the east is very, very deep and in fact, Bali was at times of those sea, in the ancient past if you like, in times of low seas Bali was the end of Asia, it was the tip of Asian continent. You had elephants and tigers in Bali but you never had elephants and tigers in Lombok which is just across the straits because mainly they couldn’t walk there because the channel was so deep. [0:05:55.6] SP: If anything went into the water off Bali, it wouldn’t end up in Lombok, it would be swept away to the south into the Indian ocean because of the currents that pass through, the straights and Nusa Penida and Lembongan, the small island or the two small islands, Lembongan and Ceningan, that are attached to it, actually forms a plug, an ill-fitting plug in that straight. So there’s a vast amount of water that passes around Nusa Penida. [0:06:30.0] CM: Right, and quite forcefully so. [0:06:31.7] SP: Yes, exactly. This is the world of drift diving and fast currents, yes. [0:06:38.7] CM: Right, exactly because I’ve only dived there a couple of times and the key things I remember about it are, yes current and also the underwater landscape just — I mean it’s very rich but it looks like it’s been blasted. That current rages through there and it just makes everything sort of grow 30 degrees. [0:06:58.8] SP: Yes, that’s right, or not grow at all and yes. I mean it’s very difficult for anything to grow large there because the current just blasted away. You’ve got color but the color is a very thin carpet on top of the rock. [0:07:14.4] CM: That’s right. That makes Lembongan, that makes a complete and utter contrast to Tulamben and Pemuteran in terms of the landscape. It couldn’t be more different could it? [0:07:25.3] SP: No, in fact, if you look at this three centers, you’ve got Pemuteran and Menjangan with the white sand and clear water. Tulamben and Amed is very much black sand. Still clear water, lots of unusual critters living in the black sand but a slightly dark, gothic, gloomy feel about the diving there and then Lembongan and Penida are characterized by these rocky landscapes with the current whooshing past and of course as you know the big fish that attract everything. [0:08:02.5] CM: Can you tell us more about that? There’s two tickler famous residents there or visitors, can you tell us more about them? [0:08:09.9] SP: Yes, well the first of the mantas who are — I mean mantas are pelagic but there seems to be quite a large population that is resident there year round and they’re spotted off a number of sites all the time and in various numbers and these are sometimes smaller mobulas are seen, but often you do get the big oceanic mantas there too and it’s spectacular. The other big attraction of course are the oceanic sunfish, the Mola mola, who are always around but usually stay deep where the cooler water lies. [0:08:51.2] CM: When you say deep, you mean really deep, right? [0:08:54.2] SP: Yes, beyond scuba diving range, normal scuba diving range. Technical divers often see Mola mola up and around the Tulamben area but they see them at 45 meters and deeper, which is beyond the range of most divers. [0:09:11.3] CM: Probably a bit of surprise as well when they do see them. [0:09:13.4] SP: Oh completely, yes. Both for the diver and the Mola mola. The Mola mola’s think they’re safe and out of range and lo and behold this diver carrying monstrous loads of equipment sails past. Yes, that’s right. It’s in the summer months, late summer months, say July, August, September when water conditions to around Nusa Penida and in fact to the south of that strip of Indonesia that borders the Indian Ocean, there’s an upwelling which makes the waters in the shallows much cooler than normal and the Mola mola tend to follow the upwelling into the shallows and it’s then the divers can see them. [0:09:58.5] CM: Wow, sometimes they come, I’ve heard, I didn’t get so lucky but sometimes they come up very shallow, literally on the surface right? [0:10:07.1] SP: Yes, yes they are. [0:10:08.1] CM: Is that a fairly regular occurrence? I know you obviously can’t predict these things but is it something that would happen every couple of weeks or whatever or is it really variable? [0:10:20.1] SP: During mola season, the Mola mola is spotted somewhere almost every day. You’ve got a good chance of seeing them. The problem is that a lot of divers want to see Mola mola. A lot of divers come to Bali during the season and they all head out to the same sites and Mola mola are relatively skittish, they don’t have much tolerance for being surrounded by divers flashing cameras at them. They tend to move away, move out to see or deeper. So that can put them off but nevertheless, despite the fact that you can get a hundred plus divers in the water sometimes in Crystal Bay, nevertheless, they do see Mola mola from time to time. [0:11:12.3] CM: Wow. Hundred divers as well. I didn’t realize it was that popular. [0:11:18.1] SP: It’s really popular. The best way to avoid the crowds is to stay on Lembongan itself and dive with one of the operations out there which are closer to the action than the mainland operators, a lot of the Sanur dive shops and the Padang Bai dive shops, these are the two diving centers if you like, centers of diving activity on the southeast coast. [0:11:48.8] SP: The dive shops there usually gets to the site around 9 AM, the Lembongan shops can go out earlier and they can get to the site before the crowds from the mainland, as it were, turn up. [0:12:01.6] CM: Right. That’s an interesting point as ever. If you’re early, you get up, usually the better dive you’re going to have and yes, so all the guys coming over from, if you like, main land Bali to Lembongan Island they’re always going to be coming in quite big numbers. So yes, it would certainly be helpful to stay on the island if you’re serious about seeing Mola mola. [0:12:25.2] CM: Lembongan, it’s a nice island as well isn’t it? It’s fun to be there for a few days. [0:12:29.8] SP: It’s great, it’s terrific, there are motor bikes sadly but there are no cars and it’s relatively peaceful compared to Kuta for example. The vibe is very good. It’s a surfer beach but a surfer beach that caters to other than surfers. Yeah, terrific. Really nice place. It’s the closest Bali gets to offering the kind of scene that the Gili’s offer, the Gili Trawangan, Gili Air, and Gili Meno, off the coast of Lombok. [0:13:07.3] CM: Right. We have to have a little pause there because the Bali rain was drowning Simon out as you may have noticed but we will carry on now and I was going to ask you Simon, can you tell us a bit more about the manta rays around Lembongan. It seems to me that this is a really great place to see mantas and it’s quite accessible yet it doesn’t seem to actually get that much coverage, what do you think? [0:13:30.0] SP: No, it’s true. Manta Point is down to the south west of Nusa Penida. It can be a bit lumpy getting out there. Again, the ocean is large and fast moving as you go around the corner there. Once you get to Manta Point, it’s actually a small bay and the cleaning station there is quite shallow. So it’s common for snorkelers to see mantas there too. As I said before, they’re there all year round, it’s great. Sometimes you see the oceanic, sometimes you see smaller mobula rays but there’s usually something there, it’s great. [0:14:11.3] CM: Obviously nothing is guaranteed. Is it pretty much the certainty you’ll see mantas there or is it quite hit and miss? [0:14:18.3] SP: No, I think you can — nothing is every guaranteed of course. If you got with a professional operation, they will have a very good idea of where the mantas are being seen there on a regular basis, after all, they go out almost every day. Not necessary to Manta Point but they talk to others who may have gone there. They’ll have a good idea if it’s a good day to go, and most days it is. [0:15:27.7] CM: Right. Yes. Just to be clear, Nusa Penida is another separate island off Lembongan isn’t it? [0:15:33.9] SP: Nusa Penida is the big island and Lembongan and Ceningan are the two islands that they actually look as if with one huge island and then some ruction in the earth’s crust separated Ceningan and Lembongan from Penida. There are these very thin and incredibly deep channels or one incredibly deep channel that passes between Ceningan and Nusa Penida. The shallower channel that is between Lembongan and Ceningan. That’s how it looks. The main island is Penida. [0:16:10.4] CM: Okay. We were just talking before about boats coming over from Mainland Bali, is that also an issue with going to Manta Point, is it, do you have to be aware of that or do they just come from Lembongan? [0:16:21.8] SP: No, they go from — they’ll go from Sanur or from Benoa, they’ll go out to Nusa Penida and they’ll do Manta Point as well. Yes. [0:16:30.3] CM: Right. So same thing, you want to try and get there early then if possible? [0:16:34.1] SP: I guess, yes. It’s strange, most boats will do the classic Penida day trip is Crystal Bay to try to find the Mola mola and then round to manta point to try and find the manta rays. That’s the classic, there’s no reason really why you shouldn’t do it differently apart from the depth element. Sometimes at Crystal Bay, the search for Mola mola carries you deeper and at Manta point, the mantas are more shallow. So in terms of a day’s diving, it would be the deeper dive first. Say for instance mantas were what you wanted to see and you didn’t have Mola mola on your schedule for that date or maybe it’s not Mola mola season then there’s no reason why you shouldn’t do Manta Point first and I think normally you’d be on your own. [0:17:28.6] CM: Yes, well that’s definitely an interesting tip. Yes, very nice. You had mentioned Tulamben a few times and I believe that’s actually, that would be quaint to say that is where Bali’s most famous dive site. Can you tell us more about that area? [0:17:44.6] SP: It’s an amazing story. Tulamben was an sleepy village on the northeast coast of Bali and on its shore, on the shore of the village was an old freighter. The freighter had been torpedoed in the Second World War and the crew had managed to beach her and its cargo of iron, ore, or something, girders or something was removed and it was just left on the beach to crumble away with time. Then in 1963, Bali’s most significant and tallest volcano, mount Agung, erupted. The lava poured down the northern slope of the mountain, swept through the village to Tulamben, obliterating it from the map and taking away all the villagers livelihood. Picked up the freighter from the beach and deposited it underwater at a depth of around 10 to 20 meters and left it there. The village itself was simply a volcanic plane at that point, the lava dried, the people moved away and then 20 years or so later, divers arrived. First they were looking in the northwest at Menjangan, that was the first place the divers really dived and then they discovered the ship wreck off Tulamben and started diving it. Local people from neighboring villages and former Tulamben residence came back and bit by bit, the village was rebuilt, the first hotel Paradise appeared, a couple of warungs, little restaurants appeared and the local people started offering their services to divers carrying their gear and that sort of thing. Over the last 20, 25 years, the village has developed and it’s only business is scuba diving, it’s the village that was rebuilt, if you like, by scuba diver. If it wasn’t for the wreck, divers wouldn’t have come and if the divers hadn’t come, there would be no village. Great story. [0:20:05.2] CM: Wow. Yeah, that’s fantastic. This is actually one of the things I really like about your book, The Diving and Snorkelling Guide to Bali, is that has all of these sort of little back stories in it, setting the context of the things that have happened and also about the top side stuff that you’re passing through. Like for instance there’s a few pages about the drive, you were talking earlier about driving up from the south to places like Tulamben and you talk about if you actually keep your eyes peeled, there’s all sorts of interesting stuff you can see along the way that you would otherwise miss if someone pointed it out to you. [0:20:41.5] SP: Yes, that’s right, yes. [0:20:43.8] CM: That’s the thing, Bali is incredibly rich in that sense, there is so much there but obviously for a tourist unless you’ve got some kind of guide whether it’s a book or someone actually with you like pointing stuff out, it will just go straight over your head basically. There’s an interesting foot note I want to add to the wreck. Because the other thing that is amazing about it is that it is kind of the quintessential idea of what a shipwreck should look like isn’t it? It sits upright and it’s still very much looks like a ship, it’s not just a hunk of rusting metal. [0:21:19.3] CM: I believe that the Tulamben wreck is actually a US liberty ship. [0:21:22.9] SP: It’s actually a ship called the USS Liberty. [0:21:25.9] CM: That’s right, okay. I believe that in Plymouth, in the UK, there is, it’s identical sister ship, which is Plymouth’s most famous wreck called the James Eagan Layne. [0:21:41.0] CM: Yeah, my father was — well he basically dedicated his life to diving all the wrecks around Plymouth, which you could imagine is a lot. He wrote about it in one of his books it’s called the Wrecker’s Guide to South West Devon. [0:21:54.7] CM: Unfortunately the James Eagan Layne, in these last couple of years, it’s all kind of really heart broken up, it hasn’t survived as well as the liberty in Tulamben. He went to Bali and he just came back raving about it, he just can’t believe that this same boat is over there. [0:22:16.1] SP: That’s fantastic. Actually, you pick up on a current point of interest in that of course the wreck lies in the ocean and the ocean moves and especially when storms come by, it’s fairly near the coast and so you’ve got a lot of wave movement over the wreck. The metal has started to break apart and what’s happening is it’s disintegrating, it’s a slow disintegration but the people of Tulamben of course are very aware that it’s the wreck primarily that brings people to Tulamben and not if the wreck goes, but when the wreck goes, their source of livelihood will go with it or may go with it. There are other attractions to diving Tulamben, there’s the drop off which is a very nice wall dive and the fact that the people of Tulamben have protected Tulamben Bay means that it is much fishier than pretty much any other bay around the coast of Bali. Fishing is not permitted there, the local people don’t fish, they don’t allow people from other villages to come and fish. So it’s a lot fishier. It’s attractive from that point of view, the reef is nice and the fish life is plentiful. 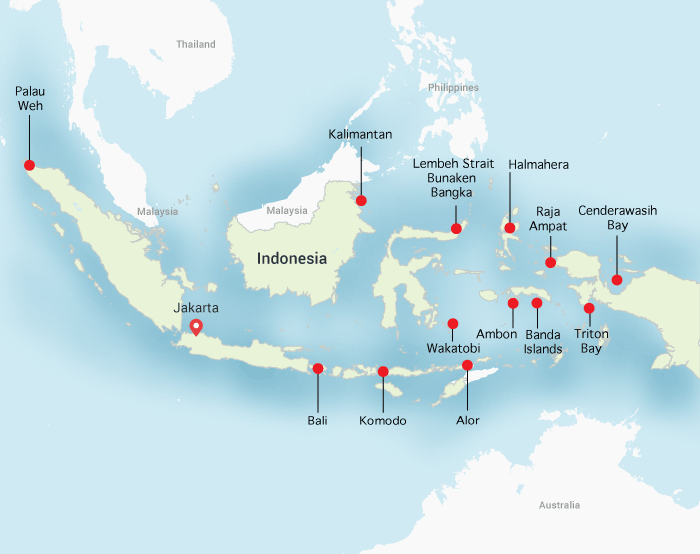 But they’re now actually talking about finding another wreck to sink in the bay and at the moment as you probably, if you probably heard, Indonesia’s blowing up a lot of illegal fishing boats that it’s catching, fishing in Indonesian waters, protected Indonesian waters in particular. There’s talk of trying to get one of those and before they blow it up obviously and to sink it in the bay. [0:24:09.5] CM: I could imagine they could make that into a tourist attraction itself, the annual blowing up and sinking of pirate boats. [0:24:17.2] SP: Yeah, it could be scattered all over the bay. [0:24:18.8] CM: That’s right. That’s a very interesting point that. It feels a little contrived to put down another wreck but on the other hand, given that everything you just said about, the locals have essentially created the ideal conditions for a wreck to go down and to become another reef in the sense of like the waters are protected, there’s no fishing. So presumably they put it somewhere relatively shallow again and the coral will take hold and yeah. Obviously I guess it lacks the romance of it was a real wreck but frankly I don’t think that really matters, does it in the end? [0:24:52.4] SP: The other thing, from their point of view, this is their livelihood, the threat or the risk that divers will not come anymore is something that justifiably keeps them awake at nights. [0:25:05.7] CM: It’s a shame in a way that the area is sort of only famous for the wreck because I remember, I can’t remember the specific dive site names, but I remember going in a little skiff and going in to the bay’s either side of the bay where the wreck is and again just incredibly rich corals growing out of the black sands. So that’s just a wonderful contrast to it and again very fishy, loads of critters and there was no one there, there was literally no one else there, whereas the bay was just this sort of a mad house but it was pretty busy. [0:25:40.5] CM: It just seems that no one was taking the initiative to try and promote “well we’ve got all these other amazing stuff here as well and also it’s really quiet.” So I was quite surprised by that. [0:25:52.5] SP: Yes, and in fact it’s the case that the diving from Tulamben and all the way east can be spectacular all the way along the Amed coast. You’ve got some terrific drift dives and some beautiful topography and it’s great, great diving. Amed is well known as a diving destination itself but most people who dive Amed are very new divers, people go to Amed to learn to dive. Somehow that has developed as that’s their major business. [0:26:27.1] CM: Why is that Simon? [0:26:30.5] SP: I don’t know. Our book when we published the previous version the 2013 version, we were really the first Bali dive guide to cover Amed except in a couple of as you mentioned there’s one dive site here or something like that. But I think we’ve got a dozen dive sites along the Amed coast and we could have put another dozen in to be honest. It’s great, and if you’re diving as you were from the skiffs, they’re called Dukums, you can be on your own. You can be on your own. There can be hundred divers on the wreck in Tulamben Bay and elsewhere down the Amed coast, you’re having a terrific dive, and you’re the only ones in the water. [0:27:17.1] CM: That’s great. I think that’s the interesting thing about, it’s kind of like the — for example, I’ve never dived to Amed or Candidasa because there’s the holy trinity of Tulamben, Lembongan and Pemuteran. So it’s interesting, but when I was flicking through the book when you have those great maps where you show all the dive sites around each of the areas and it sounded like there are literally scores of different sites and Amed and Candidasa just sort of — well there seems to be another four or five days diving there at least sort of thing. [0:27:50.0] SP: Yes. Amed, terrific. Amed could be a base in itself, it’s very close to Tulamben so people usually do them both if they know about Amed and it’s about an hour’s drive away to the south and the southeast you have Candidasa and Padangbai. As you say, they were largely forgotten and Padangbai was mostly a base from which to dive over in Nusa Penida and Lembongan. But recently, they have discovered, or divers in the area have discovered some terrific dive sites with a lot of interesting critters, a lot of Frogfish and Rhinopias and all the rest that normally people head off to these to Komodo and Alur and places like that to find. [0:28:37.4] CM: Fantastic. Simon, can you — there’s obviously so many different sites to see in Bali. Could you sort of nominate two or three that you would, for you would be like the must see Bali dive sites? [0:28:52.3] SP: Yes, I think — one trip we do quite frequently which we really enjoy is out of Padangbai, as I said just before, to the southeast, they’re relatively new sites. One is called The Jetty and it’s an enormous jetty that was built to take cruise ships when they arrive in Bali. It was designed to give that area of Bali a little bit more business rather than the boats going into the main Bali harbor when they stop. Great idea, but unfortunately they built this enormous jetty in water that wasn’t deep enough to take the cruise ships. So the jetty is used only by local fishermen and now divers and under the jetty are all the host of creatures that you’d expect to find under an Indonesian jetty. It’s a wonderful, wonderful dive and there are more people doing it now than there were. It’s a really good dive. It’s one most people would miss. Then you can team that up on a day’s diving with Blue Lagoon which is just a bay just around the corner from the jetty. Which has some terrific reef bommies with cleaning stations and frogfish and Moray eels and all the various shrimps and things you get around the cleaning stations and also that’s where the people have found the pedal flap scorpion fish. These ones are — they’re so red, they’re almost purple. There’s a couple of those in the bay and they’re extremely rare and there they are, 50 meters off the shore in Bali. [0:30:43.7] CM: Wow. So given that you live in Bali, do you sort of actively seek out new places to dive? Do you do a lot of exploratory diving or you just wait till you hear? [0:30:54.1] SP: No, that’s what we do. If we’ve got friends visiting then we’ll go to the usual sites but if it’s just us, then we’ll usually try and find something different and we’ve often driven along the north coast and stopped the car where it looks promising and just had a dip in to see and sometimes most of the times I suppose it’s not spectacular but it’s a nice enough dive. But sometimes you find you’ve got a nice surprise and you stumble along somewhere which is terrific which we go back to. [0:31:29.2] CM: So we’ve mentioned it a few times with the mantas and also the wrecks that a lot of these dives, or the great dives in Bali are very shallow. A lot of these places also good for snorkelers right? [0:31:41.6] SP: They are, yes, I mentioned Blue Lagoon. Blue lagoon’s a nice place for snorkelling and I mentioned also that you can, if you’re on a dive boat as a snorkeler, you can often see manta rays around Manta Point. The wreck itself, the shipwreck is close enough to the surface that snorkelers can see it and swim over it and then also see all the marine life that hangs round the wreck. Terrific, fun. [0:32:11.1] CM: I was just about to say that Menjangan Island is also extremely popular for snorkelers isn’t it? [0:32:15.8] SP: Yes, very good. Again, because the reef comes almost all the way up to the surface and it’s very nice. It’s a nice day out, you can land on the small jetty to the north of the island and walk up into the middle and see an old temple that they have in the middle of the island which is — and if you’re lucky, you may even see a ceremony there, which is quite exotic and exciting. [0:32:46.2] CM: Yes, because the coral gardens surround the island, they’re kind of almost like picture post card. They’re sort of what you would expect coral to look like when you go snorkelling and unfortunately a lot of places, this isn’t the case anymore is it? Where Bali really delivers on it. [0:33:02.1] SP: Luckily, Menjangan is far enough off shore, the reefs aren’t affected by run off from the mainland. [0:33:09.0] CM: Oh that’s why they’re so rich. [0:33:12.8] CM: Right, of course, I never thought of that. Great. Okay, sort of wrapping this up, obviously, from everything you told us, Bali is actually quite a huge area, an awful lot to see. Do you have any particular tips for someone coming to Bali for the first time? [0:33:32.8] SP: Yes, I think if your aim is to scuba dive, if that’s the primary aim of the trip, the best thing to do is to do a safari where you either find a company that specializes in Bali dive safaris and get them to take you around the island, spend a couple of days at each place. Or you do a bit of research and you plan your own safari where you would book a hotel for instance in Pemuteran and then do two or three days there and then get a car from Pemuteran to Tulamben for instance and then spend two or three days there and maybe then on to Amed and design the safari for yourself which minimizes the amount of time you spend on the road and maximizes your dive time. [0:34:16.3] CM: Awesome. Yes, the safari concept, it’s quite common isn’t it? A lot of places offer it. [0:34:21.9] SP: Yes, they do. [0:34:24.7] CM: Also, in terms of — there’s an awful lot of top side culture to see. I mean Bali would be, it’s a great place to go if you are a mix of divers and non-divers. Are there any particular top side attractions you would say not to miss out on as well? [0:34:43.2] SP: Ubud is the center, you can’t really — you shouldn’t really go to Bali and not visit Ubud, not necessarily for Ubud itself although Ubud is a great place to spend a few days. It’s in the middle of the rice fields, it’s the heart of Bali if you like that. The villages around Ubud are classic Bali villages. There are lots of temples and archeological sites like Gunun Kawi which is one of the sites we mention in the book. So that would be a do not miss. The other one which is less well-known is Munduk. Munduk is up in the hills to the west and there are rice fields there too but also there are coffee plantations and clove plantations and lots of water falls and it’s a beautiful place up in the hills to trek and wonder around. Nothing too arduous but great scenery. [0:35:42.9] CM: Awesome. Well that’s fantastic. Well thank you very much for so many of these really great tips Simon. I feel like I’ve learned a lot about Bali myself, so there’s plenty for me to see next time I come back. [0:35:55.2] CM: I really want to come back and dive this jetty with you. [0:35:58] CM: All right mate, thank you very much. [0:36:05.2] CM: Thanks for listening to the Dive Happy Podcast. For show notes about this episode including maps of where we’re talking about, travel tips, links to the liveaboards, resorts, books etcetera that we mentioned, and other good stuff, please visit divehappy.com/podcast. 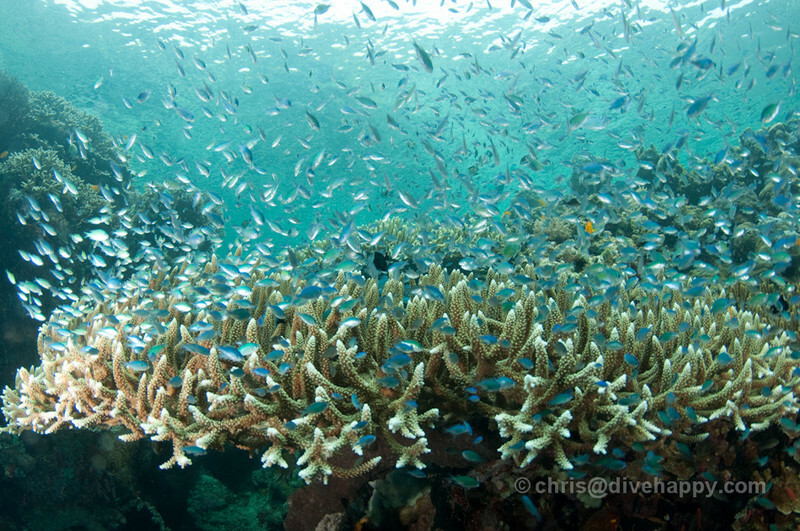 If you want to get in touch, send me an e-mail, chris@divehappy.com. If you want to know when the podcast comes out, you can sign up to the Dive Happy mailing list on the website or follow on Twitter @divehappy. Until next time, dive safe, and dive happy. Cheers. World Nomads is one of the leading travel insurance providers and their coverage also includes scuba diving to 40 metres too if you select the relevant options. Make sure you're covered insurance-wise both above and below water. Disclosure: Divehappy.com is a participant in the Amazon Services LLC Associates Program, an affiliate advertising program designed to provide a means for sites to earn advertising fees by advertising and linking to amazon.com and amazon.co.uk).